How to Sell a Car with a Loan on it to a Dealer/Private Party? How to Sell a Financed Car to a Dealer/Private Party? You want to sell your car, but you have a loan on it. It is possible to do so, but somewhat tricky when you have a loan on it still outstanding. Here we will check tips and guide on ‘how to sell a financed car to a dealer or a private party?’ In the first place, you have to call your lender and ask for the guidelines and the right process needed. Most probably you will be asked to pay off the loan before you sell the car. You exactly don’t know when your car will be sold and the amount might change over time. If you want to sell a car, you need to have a title. It makes it easier for you to sell a car if you have a title. Titles differ according to the state of your residence and to get the title again you have to call your local DMV. Your lender will let you know how to get access to the title and how long it will take to get it. It requires a little more legwork to sell a car with the title. The buyer will act according to the title and you have to ease a buyer’s concern about it. Let’s check help on ‘how to sell a car with a loan on it to a dealer or a private party?’ The best thing you do is you pay the loan off before you sell a car. 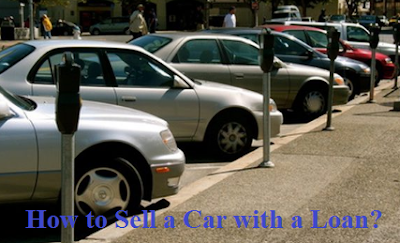 It appeals to the buyer and you will get a good price for your car. You can borrow some money and pay off your loan and return that money with the amount you will get by selling a car. You can pay off with buyer’s money. For this to ensure the buyer of the car and lessen his worry, you can take the person to the bank where your car is financed and make employee explain the real situation. Many banks accept check directly from buyers and you can ask the buyer to write checks, one for the bank to pay off the loan and second for the car seller for money remained to pay. If it is not that simple, you can consider some other sources to manage the money such as home equity loan, borrow with peer to peer loan or can manage loan from some unsecured sources. Once the loan is paid off, the title is free and clear. You have to be very careful about the terms and conditions when you go for a loan. If you contact a car dealer and sell it through him, it can be a better option than selling directly to an individual. Dealers are very used to handling these types of transactions and manage the deal and all the paperwork easily. If you have paid off your loan, it will be easier and you may get a good price. But if you haven’t paid off the loan, then it is likely that you might not get that good selling price and again you will have to do the process to transfer the debt. If you can sell your car to a private buyer, it is most likely that you get the good price for it. What it requires is the buyer must trust you. If the buyer trusts, then it is very simple, you can just sell it without touching the loan. You can pay off the loan with the sale proceeds and sign the title after you clear a title from the bank. It may take several weeks to get the process completed and the get the title clear. Even the buyer can directly pay to the bank. You want to sell a car and it often happens that you owe more money on it than the car is worth the amount. It adds a lot of stress to the situation. There are some of the guidelines you can follow to overcome it. First thing are you needed to decide on how much you want to sell the car for? You have to value it honestly keeping the condition of the car in mind. Once you decide the price, then you determine how much you owe on the loan, for that you will have to get the title from the bank and the process will take some time. Once you get it, you find the difference between the loan amount and selling price. This is the amount you will have to manage in order to sell the car. You have to dip into savings or take some loan. Once you decide on that, you have to put your car on the market. You can do so through some local classifieds, contact dealers etc. If you have decided to sell your car and you have a loan, you follow the guidelines given above and you will definitely find a way. How to sell a financed car to a dealer / a private party?